I. Investment with intertemporal, trans-generational ("very-long-term") strategy designed to produce mutually-supportive, symbiotically-related high-yield returns following classical, historically demonstrated, empirical practices. II. 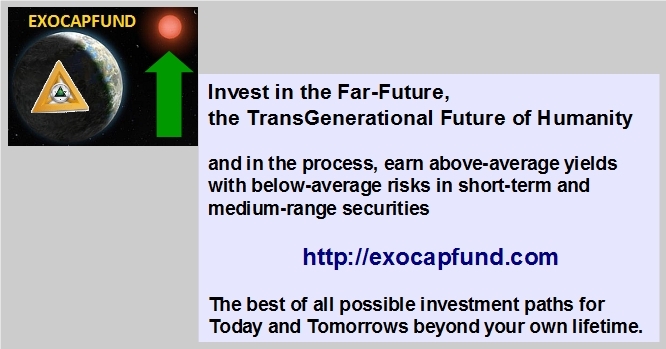 Focus upon the industry and technology types that the Fund Managers believe to be the most valuable, significant, and impactful within the span of present and near-future generations and serving the broad goal-sets shared and pioneered by The Exoplanetary Corporation, also the Institute for Innovative Study, and other businesses and organizations including partners and co-investors. 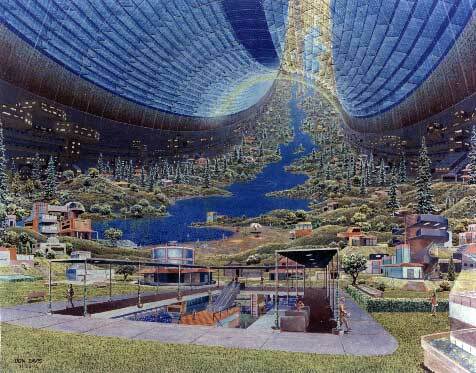 The investment portfolio spectrum concentrates upon development and maturation of interplanetary and interstellar exploration, colonization, industrialization and civilization. III. Application of hedging and securitization principles of financial management that apply historical experience with advanced modeling and forecasting, in the context of a trans-generational, multi-decade and multi-century socioeconomic outlook. IV. Initial operations will be commencing with a $100,000,000 (USD) capitalization plan and minima of $100,000 investment units by individuals and institutions meeting the qualifications and standards for the long-term investment terms required. The Fund operates with hedge fund principles and its portfolio includes well-established, publicly-traded companies, private equity securities funds, venture capital funds, and a select few entrepreneurial assets in which EXO Capital Fund has taken a position. 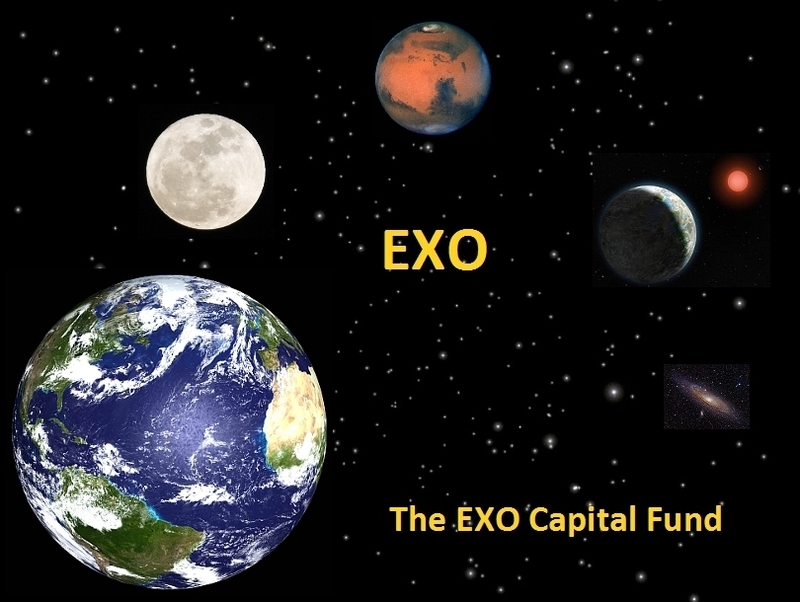 The Exoplanetary Corporation is one of the Fund's special-interest investments; however, it is not the only company with activity in the space industry in which the Fund is engaged as an investor, and naturally there are other equity stakeholders in the portfolio member companies. The Fund is managed by a team of professionals with extensive experience in all aspects of investment fund practice and management, and with a Board of Advisors consisting of individuals with recognized and specialized experience within different industries and disciplines.